While many reviewers for Steven Spielberg’s “Jurassic Park in 3D” (released April 5, 2013) said they felt the renewed terror they had when the film first came out in 1993, National Geographic writer Christine Dell-Amore said if the film were updated to current research, the creatures would look much different. Dell-Amore asked Thomas Holtz, a vertebrate paleontologist at the University of Maryland, College Park, what the main difference would be. 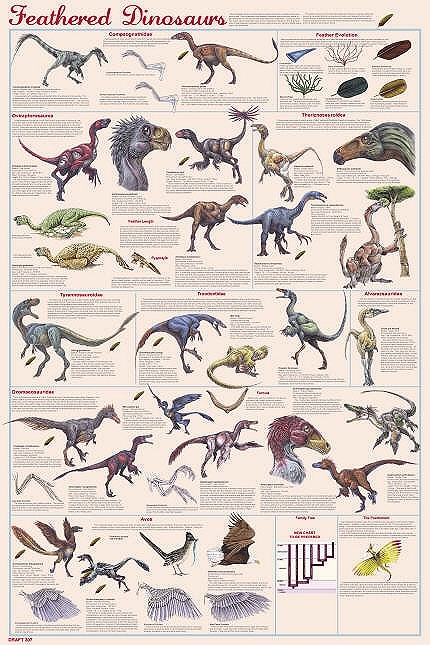 Since the original film came out, many researchers have discovered dinosaurs probably had a coat of feathers. Most of these discoveries were made in Liaoning Province in China. Some specimens have even been found with intact feathers. There is even evidence that the almighty Tyrannosaurus Rex had feathers. Holtz said, for example, the Velociraptor, a common creature in the “Jurassic Park” movies, would be “as feathered as a bald eagle.” This familiar dinosaur was also only as smart as a opossum, in contrast to its sneaky strategies in the movie. The Hollywood industry has rejected the idea to use this updated evidence in “Jurassic Park 4,” which is scheduled to be released in June 2014. Pigeons, mammoths, thylacines: Back in action? Something big is on the loose. The idea of extinct animals, like the wooly mammoth and Tasmanian tiger, running around in backyards tomorrow is something both researchers and the public have rolled their eyes at for decades. But things are changing and scientists now believe a full-on “de-extinction movement” is on its way and it’s likely to occur sooner than later. 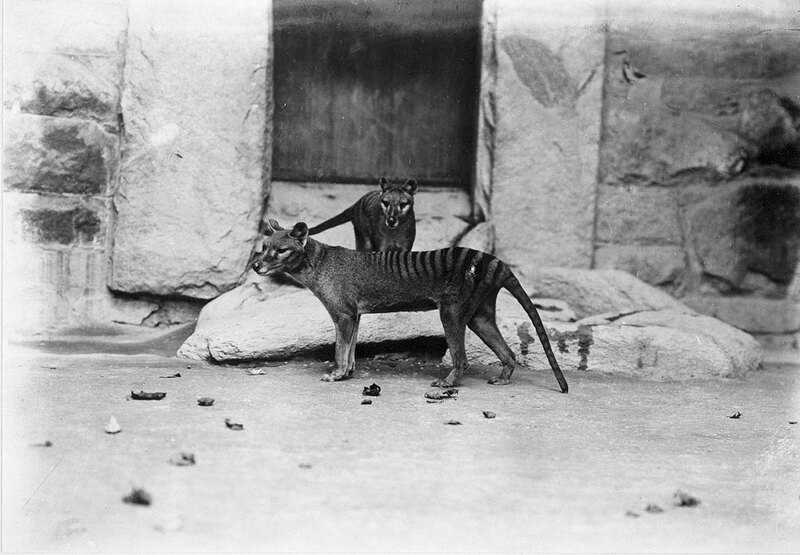 Thylacines dissapeared in the 1930s. Photo from http://www.mnh.si.edu. The Revive & Restore project, which sparked out of the Stewart Brand’s California-based non-profit Long Now Foundation, is taking the lead to bring back one individual animal: The passenger pigeon. Meanwhile, they are also helping in other efforts to bring back other extinct animals, such as European aurochs, Pyrenean ibexes, American chestnut trees, Tasmanian tigers and wooly mammoths. There is specific criteria that is heavily examined as researchers continue sequencing the DNA: would the species be desirable? Is it practical? What would it be like to “re-wild” the species? Geneticists, conservation biologists and environmentalists are all working with the project to ensure all perspectives are acknowledged. 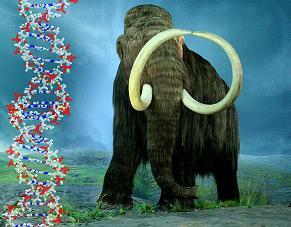 New techniques in cloning frozen mammals may allow scientists to bring back the mammoth. Photo from http://bit.ly/eGnCFO. Hendrik Poinar, a molecular evolutionary geneticist and biological anthropologist at the Ancient DNA Centre at McMaster University in Hamilton, Ontario, said that people might be interested in doing this because humans have the ability and always want to push the boundaries of what is possible simply for the sake of innovation. Most of meat people eat comes from pigs, cows, birds or fish. Almost all of these animals are herbivores. People rarely consume carnivores, and when they do, it’s almost never a mammal. However, some restaurants are serving something a little different. 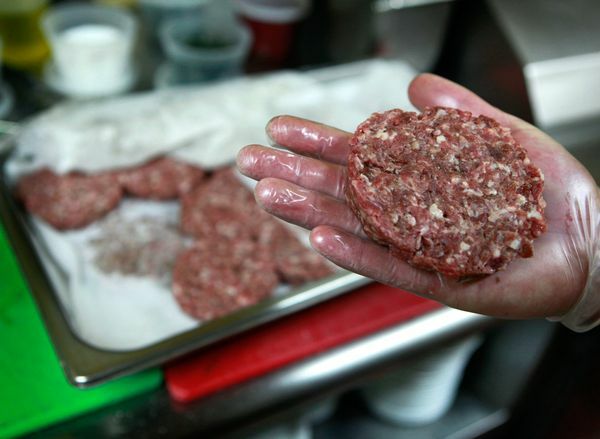 One of the meals on the menu is a lion-meat patty. Illinois State Representative Luis Arroyo wants to ban lion meat from the state with his Lion Meat Act. This would make it illegal for any person to breed, own, import or export a lion to later kill them for food. He believes there are at least two places in Illinois where people can purchase this kind of meat. In a National Geographic article, the owner of Czimer’s Game and Sea Foods Inc., Richard Czimer, said he thinks Arroyo is discriminating against people who are interested in trying new types of food. He said last year he only purchased a couple lions for their meat, where as hundreds of thousands of cattle are killed every day. However, based on studies, eating carnivore meat is not necessarily good for humans. Big cats eat a wide range of animals, so they could easily pick up diseases and parasites that could later be passed on to a human consumer. Not only are many big cat species declining in numbers, but many are concerned that if this becomes a regular item on menus, the black market for big-cat parts could skyrocket. 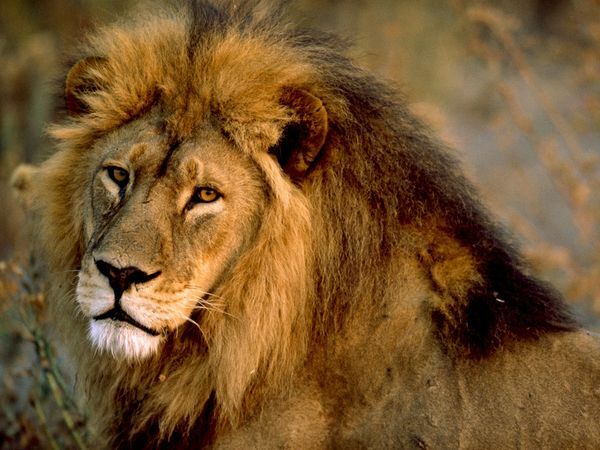 Allowing lion meat to become a popular dish could increase the demand for lions in the black market. Other exotic meats on menus around the world include iguanas, black bear, llama, camel, emu, yak and snapping turtle. These are not endangered creatures and it is legal to buy them for meat. But, some humans do have a taste for endangered animals, like the great apes in West and Central Africa, the surgeon fish, freshwater turtles and tortoises in Asia, Asiatic black bears, tigers, marine turtles and some whales. According to the latest print edition of National Geographic, colorful katydids are having a tough time. While Kermit the Frog may have believed it wasn’t easy being green, any katydid that is not green is in for some serious trouble. Katydids are born with a range of color, but usually only the green ones survive to become adults. Photo from National Geographic. These insects, first discovered in the 1770s in North America and the tropics, have changed through evolution, mutations or a mixture of both. While the species was known to be strictly green – good for hiding from predators in the forest – a fraction were discovered in brighter and more noticeable colors of the rainbow, like pink, orange and yellow. The pink ones were so rare, they weren’t even discovered until 1887, almost 100 years after its green siblings were found. Scientists at the Osaka Prefecture University said it is probably a genetics change and not an environmental factor. 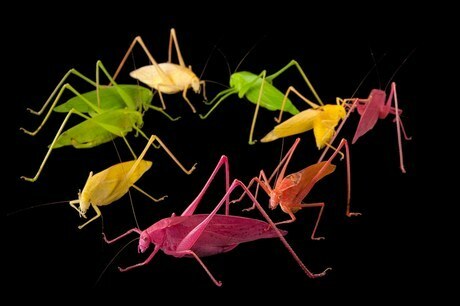 At the New Orleans’ Audubon Insectarium, researchers discovered katydids were born with a wide spectrum of colors. The reason why pink, orange and yellow ones are so rare is because they usually do not survive long after they are born. They are easy targets for predators. The conclusion of the study was that katydids’ dominant trait for color is pink. However, those with the recessive gene, which keeps them green from birth, survive longer because of their color.